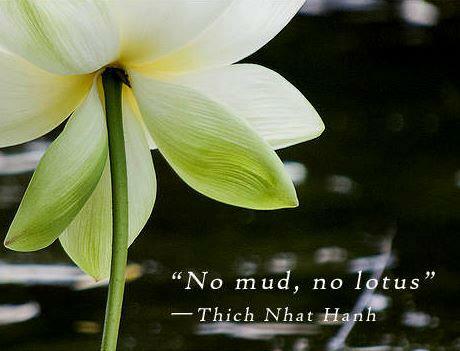 Some days your writing unfolds like a lotus, some days you’re floundering around in the muck. Some days you get golden ideas out of nowhere; some days your inspiration is buried in mud. Some days your research gives you the one glorious bit you need to make weeks of previous research click together; some days your research is akin to Hercules cleaning out the Augean Stables (and that was a LOT of muck to shovel). Some days your conscious, rational mind bows out gracefully allowing your unconscious, non-rational mind to contemplate possibilities with confidence that the A-ha insight will arise from the confusion; some days your conscious, rational mind stubbornly pushes for a solution demanding the birth of an idea not ready to be born. Some days your drafting flows effortlessly from the crystal clear A-ha; some days you can only write crap while you are painfully aware that it’s crap and that your efforts to make it better are only muddying the water. Some days your rewrites and edits magnify the clarity of the draft; some days your rewrites and edits magnify the mud. Of course, we all want more of the former, the lotus days, and fewer of the latter, the muck-around days, but that’s not what we get. If you wait for the golden, glorious days of graceful, clear inspiration before you’re willing to begin, you’ll never get there. Those days come only because of the days we’re willing to slosh around in the mud and shovel the muck. What have you been mucking around with? Or what are you avoiding getting into the mud with? Thanks Rosanne. These pieces are so true and extremely helpful. Anonymous: You’re welcome! Thanks for letting me know. I put my WIP on hold because I’d discovered some gaping holes in my writing craft. I knew that in a few weeks, I could get through the few books on craft I’d chosen to fill those holes. Unless, of course, I put off even opening them for 3 months. Hey, I could make this take FOREVER. Never upgrade my craft, never get back to writing, wallow in misery. Lather rinse repeat. I’m deep into the books now, reminding myself that creators must create to be happy, and the only way there is through, not around. Great insight Joel! I think AA calls that “thinking through the drink” — considering the long term effects of present action. Even better, you’re acting on your insight and moving ahead with what you committed yourself to do. And best of all, all that reading and craft development counts as Product Time. You aren’t delaying your writing, you’re doing what needs to be done. I’m proud of the fact that I’d even thunk of that, that it’s Product Time. Which I’m off to right now!